MStore ticketing enables the rapid production of general admission tickets for individuals and groups, processes entry passes and bookings, captures visitor data and allows complex pricing policies to be applied. 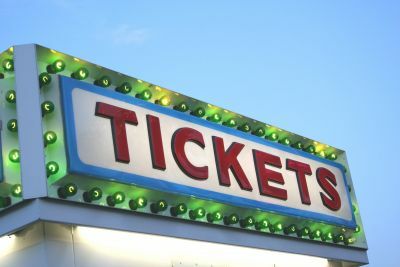 Ticket design is completely flexible with no limit to the number of ticket types that can be used. Logos, promotional messages, tear off stubs etc can all be incorporated. Pre printed souvenir tickets can be overprinted with details of the visit, or the ticket can be entirely printed on small footprint thermal printers. Barcodes can be printed on the ticket to allow further validation within the park or to allow return visits. Each ticket type is linked to a PLU (Price Look Up Code) in the same way as a retail sales item, so tickets and retail items can be sold at the same till. Search facilities allow members details, bookings and sales items to be quickly retrieved. Multiple payment types per transaction allow payments to be split to include cash, cheque, credit card, payment vouchers, and account customers. Pre-booked and pre-paid tickets can be issued at unattended tills. A comprehensive wrist band management system allows bar coded wrist bands to be issued instead of tickets, to control access to specific attractions in the park. The module can be used on its own, but when used with the Retail and Hospitality modules, MStore delivers all of the functionality needed to satisfy the retail requirements of the largest visitor attraction. Robust Ticket Printers allow pre-printed souvenier tickets to be printed in addition to the receipt. 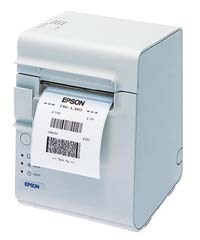 Alternatively just print the ticket on the receipt printer - the choice is yours. Real Time Control - View ticket sales in real time in the back office for each admission till. 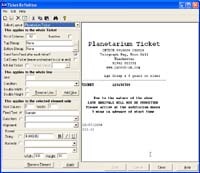 The Ticket Designer can be used to design your own tickets.